The first step to creating a complete, interconnected network for people walking, biking, and riding public transit is often adopting a binding Complete Streets policy. To kick off our second workshop, each team presented vision statements, values, and performance measures that will guide the development of their Complete Streets policies. We learned a great new word from the City of Arvada whose values include safety, sustainability, equity, and innopassitunity! All three of these Denver suburbs stand to benefit from recent transit expansion in the region, so our second workshop focused on how to create strong first-mile/last-mile connections between the places where people live and work and the new regional light rail stations. One vital ingredient of creating these first-mile/last-mile connections to public transit is land use. 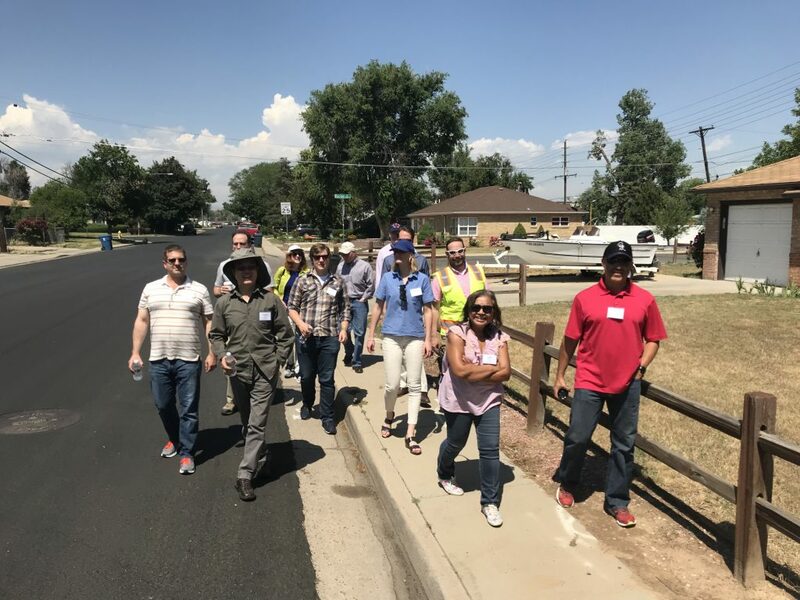 The teams from Aurora, Arvada, and Westminster learned about how mixing residential, retail, and office uses and placing transparent building facades closer to the sidewalk can create a safer, more inviting experience for people walking, biking, and even driving to public transit. We put these principles into practice through an interactive exercise based on a real example in Aurora where a large, underused parking lot separates a neighborhood from a soon-to-be bus rapid transit corridor. The exercise made use of state-of-the-art land use simulation technology—LEGOs! Each team filled in the parking lot with a mix of new residential, commercial, and office space using different colored LEGOs to represent the different types of land use. The teams paid particular attention to how they could reconnect the space to the existing street grid, and they also got creative by incorporating trees, green spaces, and bus rapid transit lanes into their designs. During the workshop, we also got a chance to visit Aurora’s new light rail station and experience first-mile/last-mile connections (or lack thereof) for ourselves. We visited 13th Avenue where the sidewalks were too narrow for such a large crowd to walk along comfortably. The corridor also didn’t have any dedicated bike lanes or sharrows, but those of us brave enough to ride directly in the road with traffic borrowed dockless Ofo bicycles. Once we got a chance to experience the corridor for ourselves, we defined the main problems along the corridor, including lack of safe facilities for walking and biking, frequent speeding inconsistent with the local character of the street, and missed opportunities for first-mile/last-mile connections. 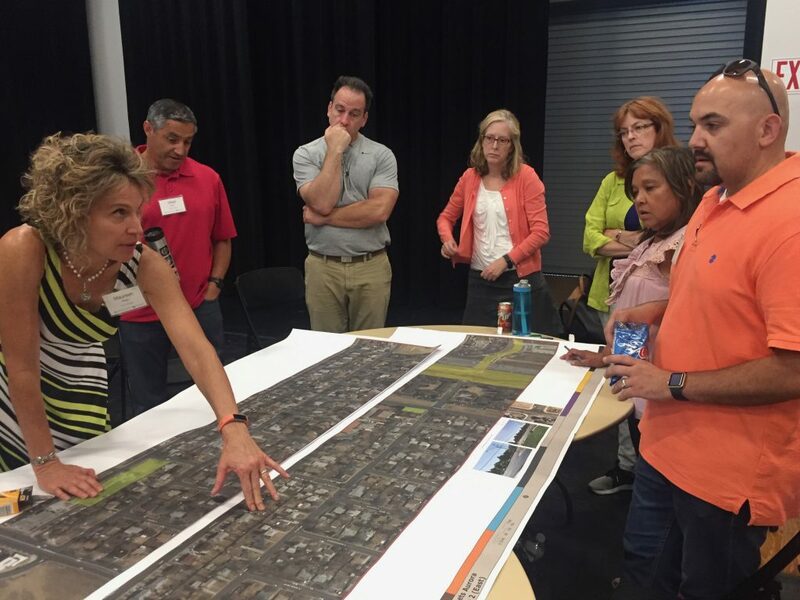 The teams from Aurora, Arvada, and Westminster then worked in groups to brainstorm ways to address these problems and reimagine 13th Avenue as a multimodal gateway to the new light rail station. 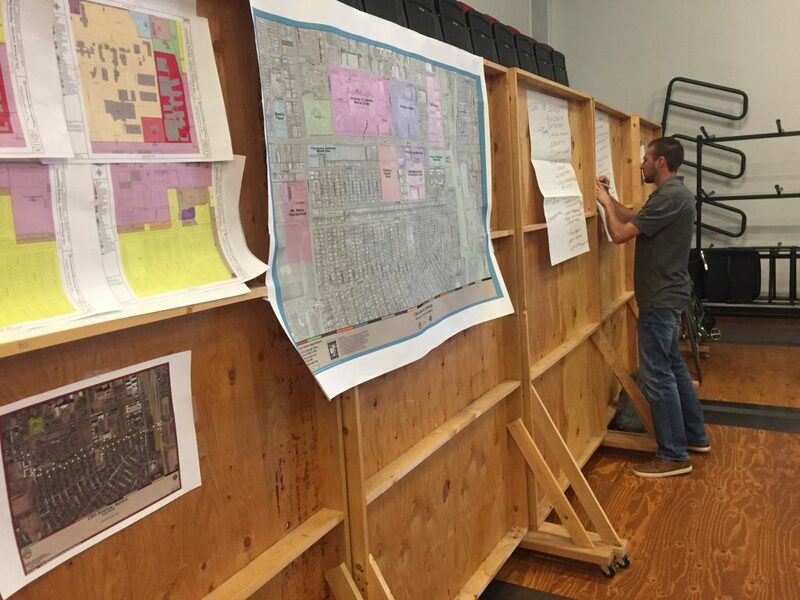 Some of their ideas include widening sidewalks, adding pocket parks and green infrastructure along the street, and creating raised or protected crosswalks at intersections and in the middle of blocks. 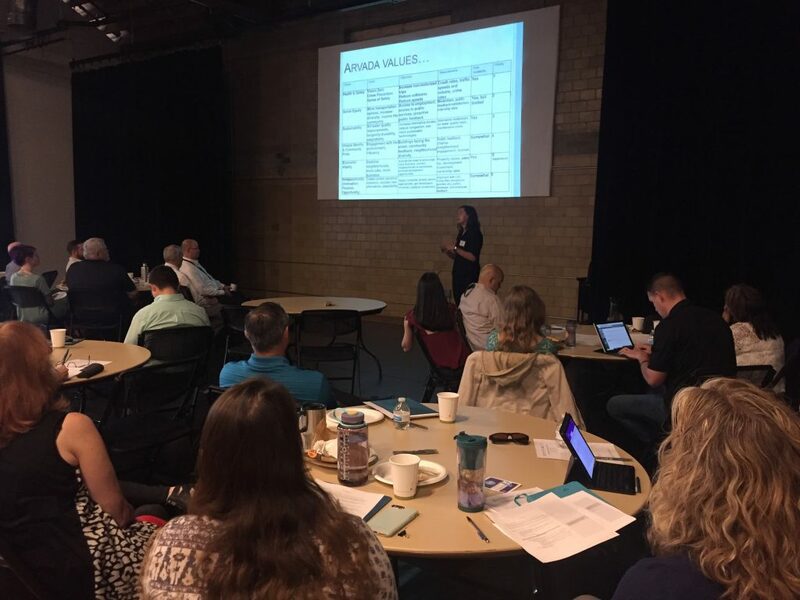 We’ll be back in Arvada for the third and final workshop of the Consortium Series at the end of this month, where we’ll focus on strategies for equitable, inclusive community engagement. See you next time! This technical assistance is funded through a grant to Smart Growth America from the U.S. Environmental Protection Agency’s Office of Community Resilience under their Building Blocks for Sustainable Communities program; the Centers for Disease Control and Prevention have partnered with EPA through this grant to support the Complete Streets Consortium Workshop series. EPA’s Building Blocks program funds quick, targeted assistance to communities that face common development problems. Through the program, Smart Growth America has already provided free assistance to more than 85 communities across the United States from Hawaii to Maine.